Gytha Von Aldenbruck was honored with the award for Community Service during the Council on Aging of Martin County’s second annual Sage Awards ceremony on March 25 at the Kane Center in Stuart. Let’s create a blueprint for your charitable legacy. https://www.thecommunityfoundationmartinstlucie.org/wp-content/uploads/2018/12/TCF-Horiz-Logo-stacked-high-res-300x88.jpg 0 0 Robin C https://www.thecommunityfoundationmartinstlucie.org/wp-content/uploads/2018/12/TCF-Horiz-Logo-stacked-high-res-300x88.jpg Robin C2017-03-31 13:54:312017-04-28 13:11:24Let's create a blueprint for your charitable legacy. https://www.thecommunityfoundationmartinstlucie.org/wp-content/uploads/2018/12/TCF-Horiz-Logo-stacked-high-res-300x88.jpg 0 0 Robin C https://www.thecommunityfoundationmartinstlucie.org/wp-content/uploads/2018/12/TCF-Horiz-Logo-stacked-high-res-300x88.jpg Robin C2017-03-17 10:18:302017-04-28 13:11:30How can we help you change the world? 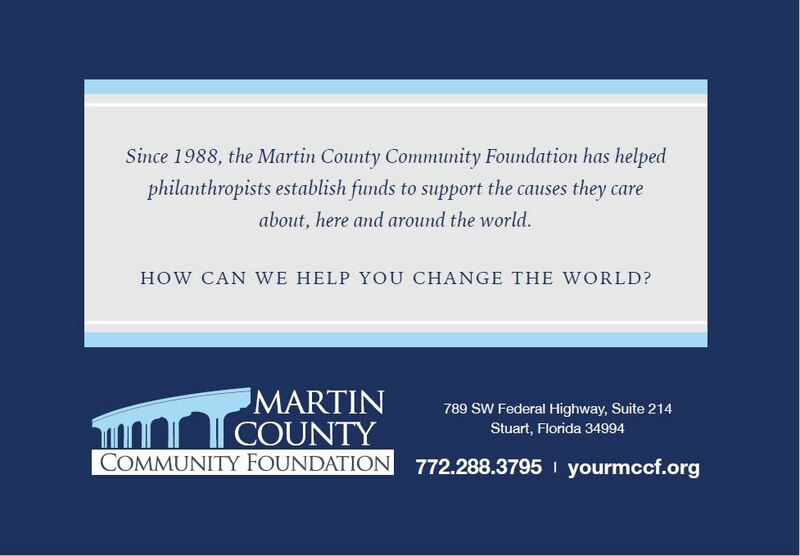 After nearly three decades of cultivating the growth of charitable causes, the Martin County Community Foundation is ready to “make it rain” for a select few non-profits. You’re wealthy. Fabulously wealthy. With more money than you can possibly spend. But, you don’t want to spend it all. You want to give some of it away. A lot of it, in fact. Not to just anyone, however. To an organization whose mission you admire, whose efforts remain relevant and bold, yet attainable, and whose history demonstrates solvency and reliability. Whether quietly or to carry forward your legacy, you want to give big. But responsibly and with purpose. It’s what you truly believe is right. And you’re in the blessed position to do so. 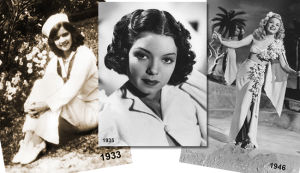 It has been 11 years since beloved entertainer and philanthropist Frances Langford passed away. Her memory and legacy remain strong as our community continues to benefit from her vision and generosity through the Langford Fund for Martin County, the newest named fund under the direction of the Martin County Community Foundation. 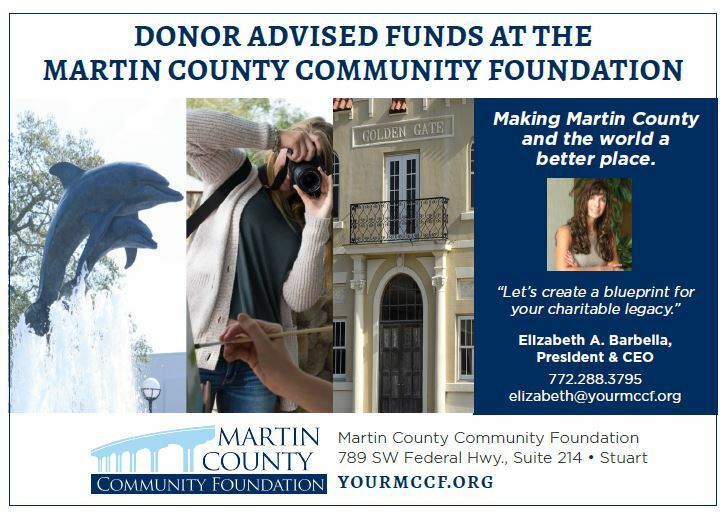 Elizabeth Barbella, MCCF Executive Director, will welcome all Martin County non-profit CEO’s, Executive and Development Directors to a coffee reception at 10 a.m. on October 14 at the Dolphin Bar in Jensen Beach to introduce The Langford Fund and to present guidelines for the 2017 grant applications. The Martin County Community Foundation was recently honored to receive $7.7 million from the Langford Trust to provide funding in perpetuity to organizations and causes most dear to Ms. Langford, who gave $26 million, directly to Martin County charities in the decade after her passing.